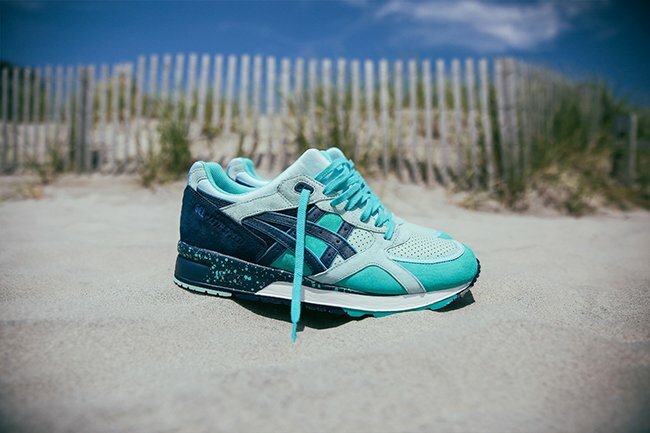 Ubiq is the next shop to collaborate with Asics, the end result is a vibrant Ubiq x Asics Gel Lyte Speed Jade Cool Breeze that should be showing up soon at retailers. 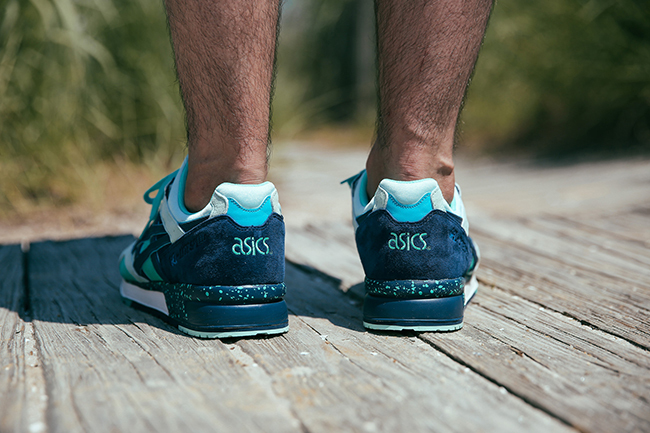 The UBIQ x Asics Gel Lyte Speed “Cool Breeze” was inspired by the positive and refreshing vibes we all experience during the summer months. The clear blue skies and rejuvenating feeling when we step into the cool waters of the ocean served as our muse when developing this project. 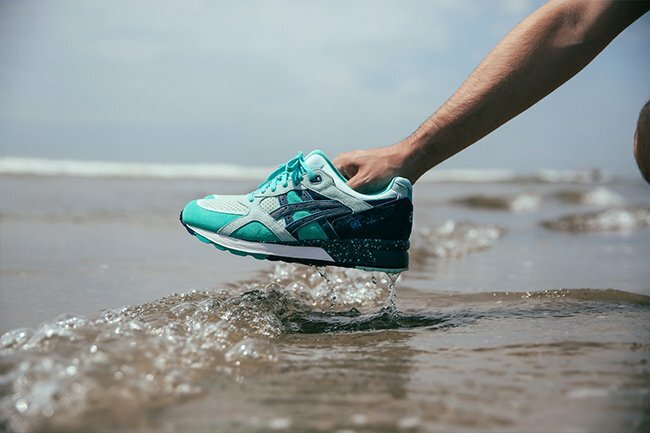 Every time you slip on a pair of the “Cool Breeze,” we want you to remember the tranquil feeling of seeing crystal blue skies, and touching the teal blue waters. 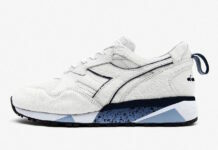 The Asics Gel Lyte Speed has been seen a bit more lately while it’s nice to see a big shop taking on this pair. 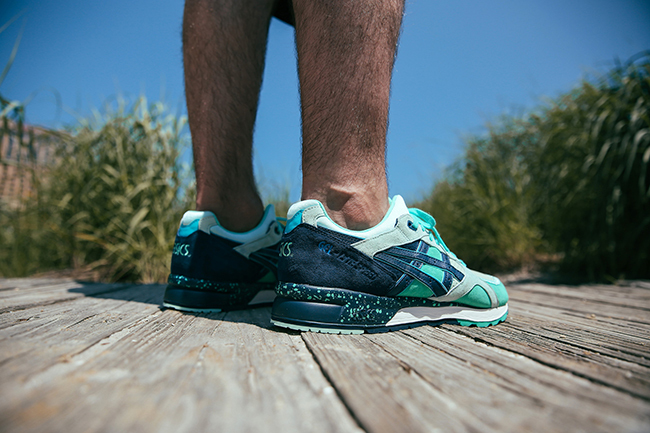 Featuring aqua, navy, sky blue and jade green as it’s main colors. 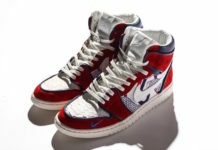 Other details include a speckled midsole, white hints through and perforation seen selectivity throughout. 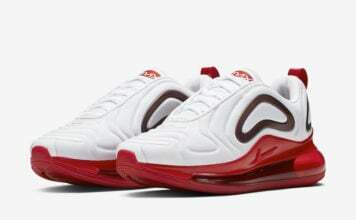 Materials used appear to be a mixture of suede and nubuck. 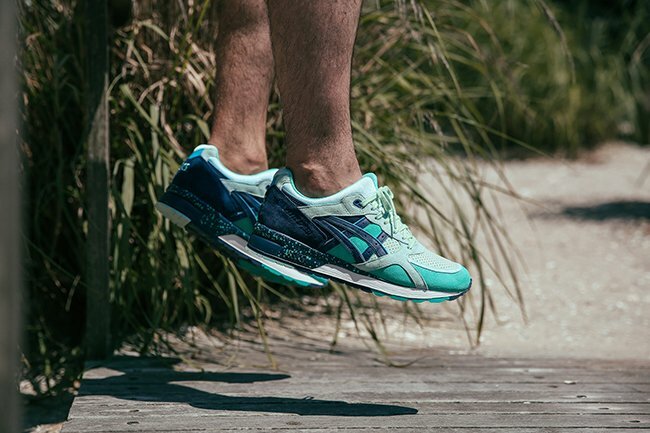 More images of Ubiq’s project with Asics on the Gel Lyte Speed known as ‘Jade’ can be seen below. 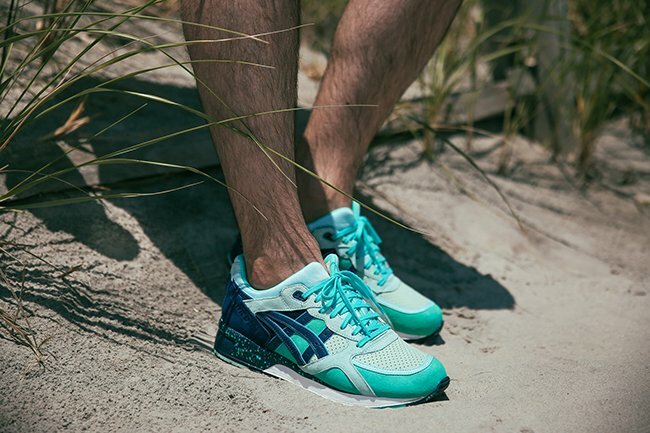 As of now, select Asics retailers will have the shoes at retail, one being Afew. 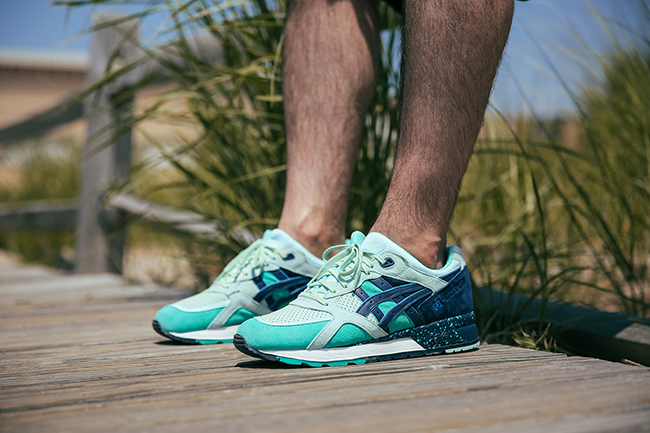 Update: Ubiq has confirmed that the release date for their Asics Gel Lyte Speed Jade is July 18th, 2015. 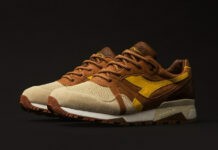 You can pick them up at Ubiq for $140.